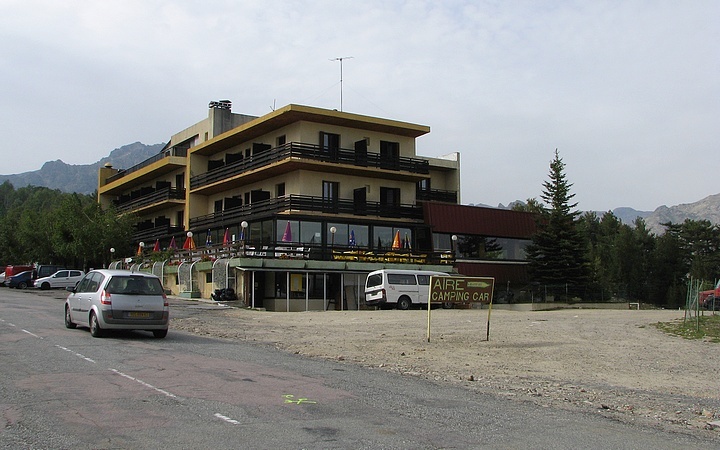 Castel di Verghio is a ski resort in the 6th stage of the GR 20 trail and the only hotel of the GR20's northern part. Col de Verghio is also an important crossroad of long-distance paths. Besides GR 20 another two go across this place: Mare a Mare Nord and the Sentier de la Transhumance. The photo was taken in September 2006, it is licensed under a Creative Commons License and is copyrighted by Martin Naroznik. See more Martin's photos in his GR20 photo set on Flickr.